Welcome to the Mother’s Ministry, a living testimony of faith and endurance. We honor these ladies because in so many ways which may never be told, they have been the tip of the arrow that has guided the faith of their families and friends. As in each of our lives time has a way of testing, molding and shaping our character. These are a few of the models for christian love and christian faith. 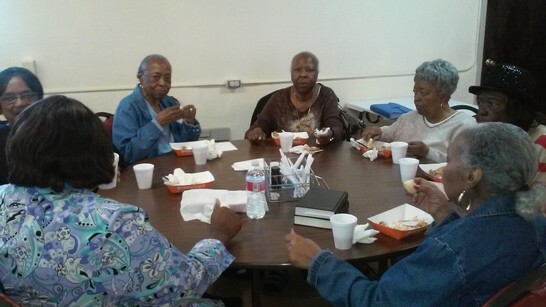 The Mother’s Ministry meets monthly for lunch, fellowship and bible study. Come out and join Us!